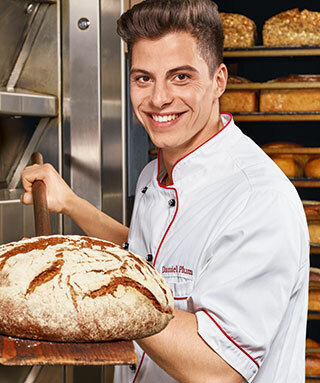 The gentle humidification system softSteam envelops the growing dough pieces with a gentle mist, creating the best possible conditions for an extraordinary taste experience. What`s more, softSteam saves energy and does not deposit liquid – a dream for every food manufacturer. In hygienic design made of high quality stainless steel, the surfaces can be easily cleaned as residues do not adhere. The unique i-Save energy-saving concept is located between the silver casing and the hygienic Interior. i-Save by iceCool recovers heat from the baking process. A cool idea for saving energy!